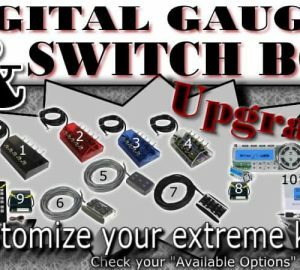 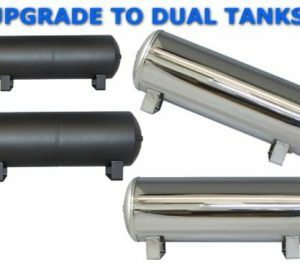 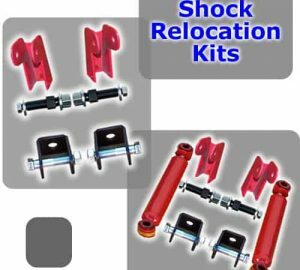 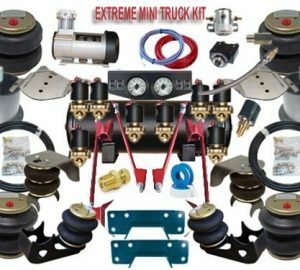 These Hot Rod Kits or Universal Air Kits for fabricators are an excellent way to go if your looking for a way to save cost and get exactly what your looking for. 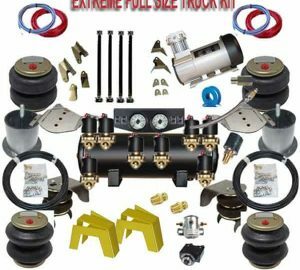 Our Extreme Air Ride Kits offer our customers all the parts necessary to get a fully functional air suspension system, at a fraction of the normal retail cost. 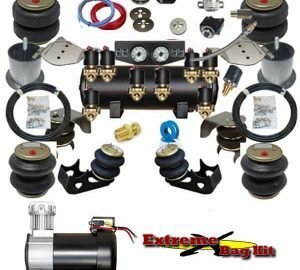 Depending on the system your looking at these Extreme Air Suspension Kits are built for 4 corner coil springs, front coil springs and rear leaf springs or can even accommodate vehicles with struts. 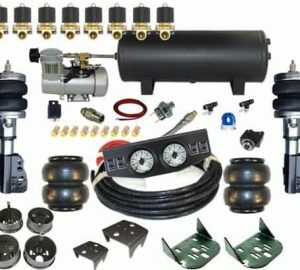 If you are looking for a completely universal system that you would like to retrofit to a vehicle that you just can’t find an air ride system for then let us know, as most cases we can include hardware for you that will be fabricator friendly, and will accommodate just about any late or early model car, truck or SUV you can imagine!